Religion is increasingly recognized as a defining feature of political life and as a constitutive element of individual and collective identities. The question is no longer whether religion matters, but how. The contributors to this discussion—which began as a session at the American Sociological Association Annual Meeting, co-sponsored by the sections on the Sociology of Religion and Culture—explore this question through the lens of political contestation over national identity. Through analyses of the United States, Canada, Poland, and the Netherlands, they show that public appeals to expand or contract the boundaries of national identity are often made through reference to religion, either on its own or through its intersections with race, ethnicity, language, sexuality, immigration status, and class, among other forms of difference. 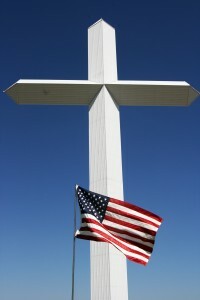 They also show how national belonging has become defined in complex ways—by groups on the political left and right—through secularist projects that are themselves constituted in relation to religious heritages and through religious “othering.” Through this lens, the national “us” becomes secular, liberal, and cosmopolitan, but also subtly “Judeo-Christian” and Catholic, while Muslims and Jews, among others, are cast as national “others.” As this process plays out across North America and Europe, we also see that these categories transcend nations, and indeed many nationalist appeals are embedded in the rhetoric of a “civilizational” battle. Together, these contributions deepen our understanding of how this works theoretically, and shed light on how a wide variety of groups draw on religious and secularist ideals, symbols, practices, and identities in the course of expanding and policing the boundaries of national (and transnational) belonging. Importantly, they also illuminate key political developments of the day, including the rise of anti-immigrant populism in Europe and the United States.